PharmaCF offers its customers a comprehensive service in the field of cosmetics production, starting from the recipe, through the design of packaging, to the delivery of the finished product to the customer. The company specialises in the production of white cosmetics, perfume products and aerosols. 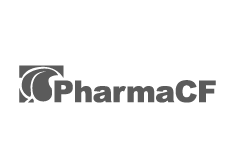 PharmaCF also offers its customers the possibility of dosing and packaging of both glass packaging as well as packaging made of plastics, laminates or aluminium. We provide our customers with comprehensive service in the field of cosmetics manufacturing, giving them the opportunity to choose from a wide range of products and packaging. All of the products developed by us are subject to strict control – both during the recipe development and during the entire manufacturing process.